On August 12, 2017, two of the state’s largest Trucking families, England Trucking and Godfrey Trucking, joined roads in Holy Matrimony. 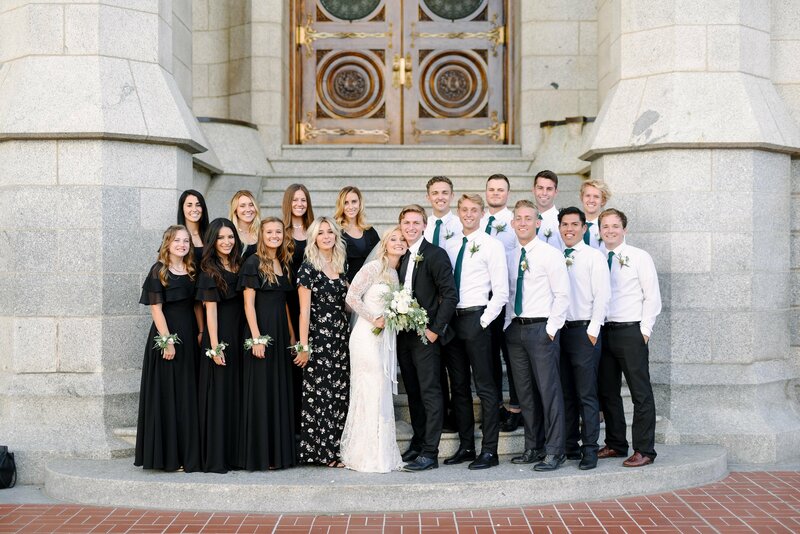 Megan Godfrey married Clayton England in the Salt Lake Temple. Meghan and Clayton met in high school, but a high school romance wasn’t in the log for them as Clayton was a sophomore trying to “pick-up” a senior. 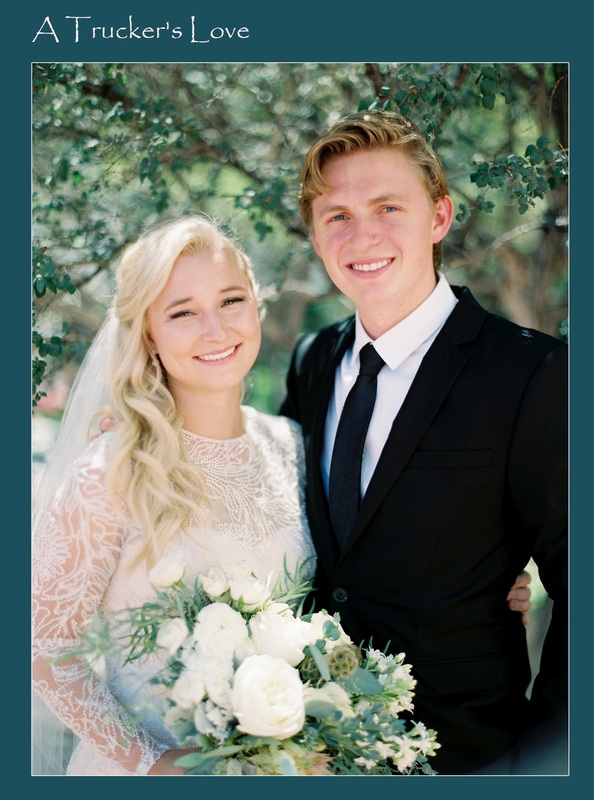 After both serving LDS missions, Clayton in Mexico City, Mexico and Meghan in Santiago, Chili, Clayton finally grew up and age just didn’t matter any longer. They went on their first date to see the Christmas lights at Temple Square and it was history from then on. Meghan’s wedding ring was custom-made by JP Lee Jewelry in Draper, Utah. But Clayton couldn’t wait for the ring to be complete so he proposed with his mother’s Tiffany ring on the grounds of the Draper Temple. 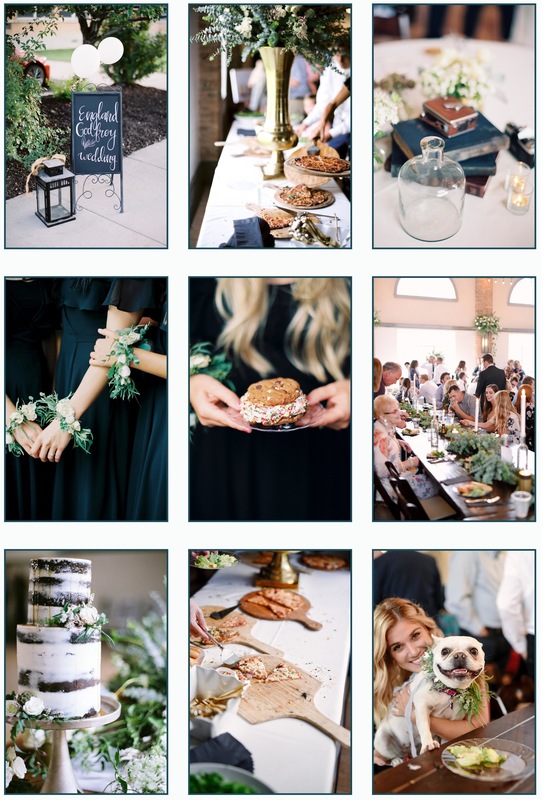 The reception was held at The Studio Draper, a newly renovated vintage venue space owned by her family in old Historic Draper. Meghan’s three French Bulldogs were the life of the party, and their getaway in an England truck to the banging of Mexican fireworks sealed the deal. Meghan and Clayton celebrated their honeymoon on the big island of Hawaii. 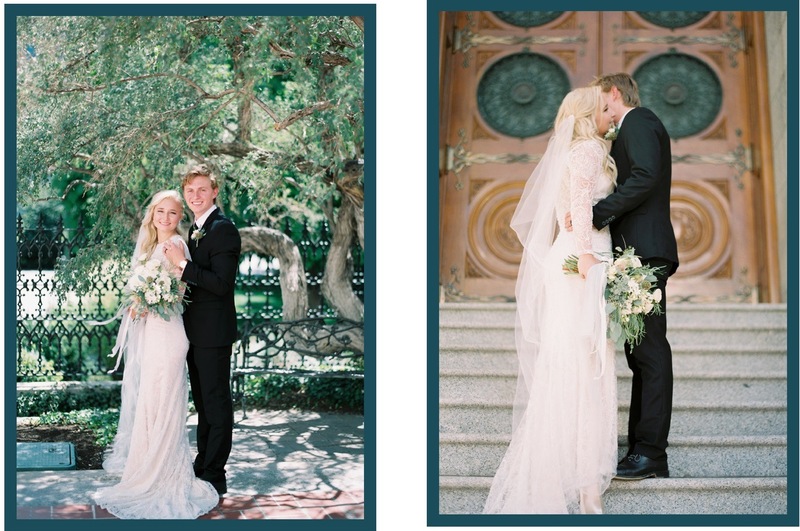 Clayton is studying Architecture at the U of U and Meghan just graduated with a BFA in Photography from UVU.